The third in his Immersion series, this one is expanded out to three discs, housed in a beautiful DVD sized eight-panel package with artwork that describes the music as well as the music describes the art. Each disc contains one 73+ minute track with titles that suit the contents perfectly: “First Light,” “Sleep Chamber,” and “Still”. These three drifting ambient expanses float in like a morning fog with multiple layers of subtle textures and delicate tonal fragments embedded within them, constantly growing and flowing; these elements reveal themselves more clearly at times while fading into obscurity at others. The interchange and motion of these components within the ‘gray noise’ that engulfs the listener is, in part what keeps this set vital and evolving over its nearly four hour duration. It almost seems as if the shifting subtle colorations and patterns within the wall of sound are as much due to subtractive elements within the sonic spectrum as they are due to additive fragmentary melodic flux. One might be as inclined to use this as calming background sounds during waking hours as much as a soundtrack for slumber. But why three discs, one might ask? I’ve asked the same question, but I may have stumbled on the answer by accident when I had one disc playing in one room and another disc playing in an adjacent room; with the third disc playing in a third room, it becomes evident that these three discs offer something even more interesting and satisfying when played simultaneously, while the listener moves about within their respective ranges. 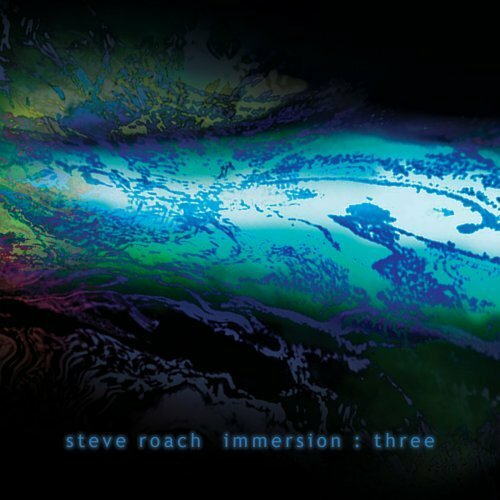 Whether played serially or in parallel, Immersion: Three is another high water mark in Roach’s body of work.